The biggest scandal to hit the British banking sector since the crisis of 2008, isn’t Libor, it is the one the Labour shadow business secretary Clive Lewis says ‘may be the largest theft anywhere, ever’. And it just got a whole lot more interesting, with the spotlight now being shone right into the heart of the UK government. For several years, it has been suspected that H.M. Treasury must have had a role, either directly or indirectly, in the RBS global restructuring group scandal, which saw the state-rescued RBS allegedly plunder, asset-strip and ultimately destroy up to 16,000 of its own business customers in order to rebuild its own capital base and try to return to profitability in the wake of its own October 2008 near collapse. After all it would be surprising if the government was not, in some way, implicated given that, at the height of the GRG scandal, between 2008 and 2013, RBS was 83 per cent owned by, and effectively controlled by, the government. The fact the three main goals that Gordon Brown’s government laid down for RBS in the wake of the £45.5 billion taxpayer-funded bailout – recapitalize the bank, return it to profitability and get it into a state in which it could be reprivatized – were the drivers for much of the nefarious activity that went on, provided a further clue that the government might have had some role. Suspicions of UK government involvement intensified when a cache of internal RBS documents was leaked to BuzzFeed in October 2016. These GRG policy and procedures manuals, emails, memos, letters and minutes revealed that the UK government’s Asset Protection Agency (APA), a now defunct arm of the UK Treasury which was set up in 2009 to insure £286 billion worth of RBS’s most dodgy loans, was responsible for dictating aspects of GRG’s approach; was kept up-to-speed with what GRG was doing; and may also have had a say in GRG’s day-to-day decision-making. However evidence that the Treasury’s fingerprints were all over the GRG scandal only fully emerged last week when documents linked to a civil action that is being heard in London’s High Court – in which a North-West of England-based warehousing business Oliver Morley Estates, is suing RBS for £100 million worth of damages allegedly inflicted on the business while it was in GRG’s care – came to light. The documents confirm that the APA was not only setting the strategy for businesses’ assets within GRG but was also, in some instances, controlling the day-to-day decision-making affecting these assets. The emails suggest the APA was calling the shots and was pushing for even more aggressive measures to be taken than those favoured by the already notoriously rapacious GRG. In the case of Oliver Morley Estates, GRG was prepared to go along with a refinancing deal that would have seen the company escape GRG’s clutches by refinancing its loans with a rival bank, HSBC. The documents state that RBS and GRG accepted that this was “the best option for the bank”, as it would have meant Oliver Morley Estates’s debt would be effectively removed from its books. However, the emails reveal that the APA blocked this transaction. Instead the Treasury agency wanted Morley’s property assets to be transferred to West Register, a property company owned by the bank which has a long and ignoble history of conspiring with GRG to Hoover up customers’ assets at knockdown prices. The email evidence reveals that GRG bosses were surprised by the APA’s intervention, saying its proposals were its “craziest decision yet” but one that it was unlikely to contemplate changing. In his witness statement, Morley said he was “appalled” by how the APA “appear to have encouraged the bank towards the path of what was effectively a sale to itself of a properly performing portfolio of properties”. The Times’s James Hurley and the BBC’s Andy Verity both published stories citing the emails confirming that the APA had “day-to-day” involvement and “strategic” control over how companies within GRG were treated (Times story here, BBC story here) on 29 February. They also revealed that Morley is now also considering taking legal action against the Treasury over its alleged role in pressing for a solution that would be a disaster from his perspective. A spokesman for the Treasury said the government would not comment on litigation it was not a party to. RBS says it “fundamentally disagrees with Mr Morley’s claims and does not believe they have any merit”. A spokesman said RBS would continue to contest the allegations vigorously in court. Ali Akram, managing partner of the independent law firm Lex Law says new information from Morley’s case may put the Treasury in the firing line of other businesses which claim to have been similarly robbed. He said the documents disclosed in the Oliver Morley Estates trial show that the “APA reportedly instructed GRG to resist an economically viable rescue package for the distressed business and instead encouraged GRG to sell the assets at an artificially distressed price to RBS’s own West Register division. It is also alleged that the HM Treasury agency exercised a veto over any banking re-financing decisions and effectively prevented RBS from discharging GRG customers from secured loans without its approval. It has emerged that UK financial regulators may be doubly implicated in the scandal. Last weekend it emerged that the Financial Services Authority’s Jeremy Bennett was responsible for getting both the Asset Protection Scheme and Asset Protection Agency off the ground in 2009. And in a September 2011 letter to Derek Sach, the former global head of global restructuring group, the FSA, the predecessor body to the FCA, said it was giving RBS’s GRG unit a clean bill of health. What were the Treasury’s APS and APA? 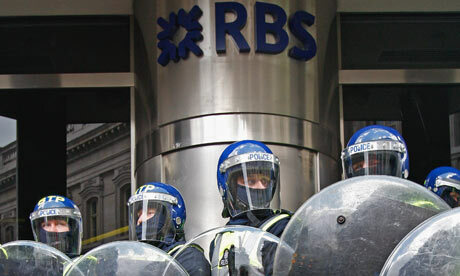 The Asset Protection Scheme was one of a package of measures introduced by Prime Minister Gordon Brown and Chancellor of the Exchequer Alistair Darling to prevent RBS going down the tubes in 2008 to 2009, and to avoid any need for their government to 100 per cent nationalise the collapsed bank. It was a gigantic insurance scheme covering £286 billion worth of the failed bank’s most dodgy assets, and was the brainchild of Credit Suisse investment bankers James Leigh-Pemberton (who went on to run the government agency that oversaw the government’s stake in bailed out banks, UK Financial Investments), Ewen Stevenson, (RBS’s chief financial officer in 2014-18), and Sebastian Grigg (a former Goldman Sachs banker who was a member of the Bullingdon Club and friend of David Cameron’s). The scheme – on which RBS paid an initial annual premium of £700 million a year and on which RBS was liable for the first £60 billion of losses – only existed between December 2009 and September 2012. The government set up a 50-strong agency, the Asset Protection Agency (APA) to check how RBS was handling assets covered by the scheme. The APA was effectively part of the Treasury and was overseen by the Treasury throughout its near four year life. In its annual report for 2009-10, the APA said its stated goal was “to maximize the value of the assets in the scheme and reduce the probability of pay-outs”. It also said that RBS was contractually obliged to follow the APS’s rules, which made leniency towards customers less important than maximising recoveries. The annual report also stated that “when a covered asset is the subject of a trigger, HMT is entitled to receive 90 per cent of any recoveries”. Triggers included default, bankruptcy or restructuring (including debt-for-equity swap deals). That must have given the APA a vested interest in pushing for such outcomes, which were unlikely to have been in customers’ interests, to maximise revenue from the GRG portfolio. APA chief executive Stephan Wilcke wrote in the agency’s 2010-11 annual report that: “The APA agreed with RBS a significant number of individual asset actions during the period which helped de-risk the portfolio and resulted in several hundred million pounds of increased cash recoveries from troubled assets”. Other APA documents suggest RBS was prohibited from releasing GRG customers from secured loans without its approval, giving the Treasury an effective veto on any re-financing by business customers seeking to exit GRG. What does the FCA know? 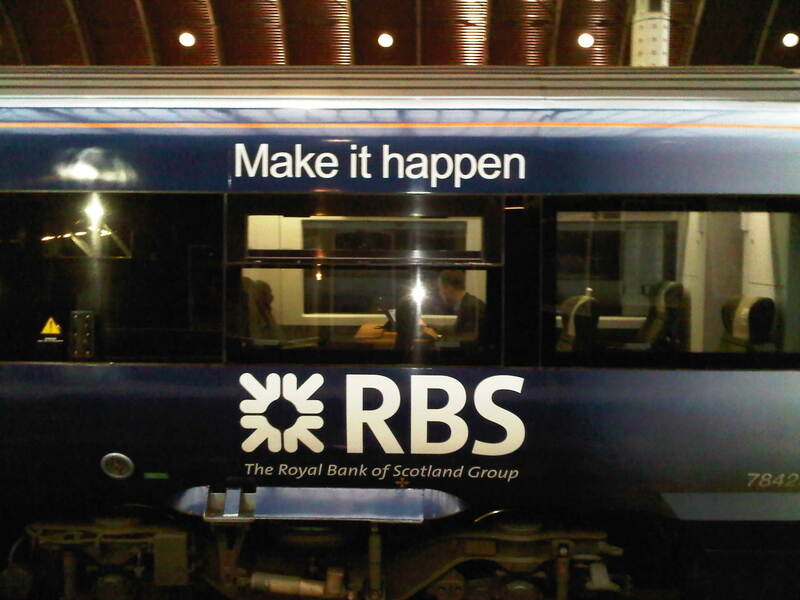 A report for the Financial Conduct Authority published by the Treasury Committee in February 2018, confirmed that RBS’s notorious global restructuring group, known to RBS insiders as “the slaughterhouse” was responsible for “systematic” and “widespread” mistreatment of the 16,000 business customers in its care, as part of “an intentional and co-ordinated strategy” of which GRG management was aware, or should have been aware. The report also confirmed GRG always prioritised its own commercial interests over those of businesses it was purporting to help and that its failings were not “one-off errors of staff” or “idiosyncratic decisions by local managers” but “endemic” and the consequence of “fundamental failings” of oversight and governance. The report, put together by the IBM-owned consultancy Promontory on behalf of the FCA, highlighted the notorious internal GRG memo headlined “Just Hit Budget!” which revealed that GRG bosses were instructing their staff to give business customers “enough rope to hang themselves”. However the report barely mentioned the role of the Treasury, the Asset Protection Scheme or the Asset Protection Agency. Many of the businesspeople whose firms were subjected to this abuse by RBS’s global restructuring ended up losing not only their livelihoods but also their marriages and their physical and mental health. Some committed suicide. A contentious compensation scheme which RBS set up with the FCA’s blessing in November 2016 was dismissed as inadequate by both victims and lawyers. The FCA infuriated victims when it claimed on 31 July 2018 that, despite all the evidence from the Promontory report and elsewhere, it did not believe that the GRG scandal merited any “enforcement” action or further investigation. It claimed to have found “no evidence of dishonesty or lack of integrity” on the part of RBS, GRG or their executives and management. The Tories under Thatcher deregulation of the banks lead directly to the Crash and to 9-11 .We blame 9-11 on terrorist from the Middle East ,when if we follow the money it was China that had a big hand in it and they benefited financially from it and have now become a global player. China supplied most of the weapons used and have huge boat loads of arms flooding into conflicts all over the globe . Just check out how many Tories benefited from the crash and 9-11 and that will say it all . The Tories need certain home situations to divided the public and allow them to point the finger of Fear on the innocent ,which also happens to be the poor . The rich get rich on the backs of the poor and the Tories need that to stay the same and linking house prices to productivity is the most striking way to show that financial slavery is live and well . There’s far to many lawyers , ex army and yes men in parliament the sorry thing is that the women who have joined the ranks are along the same lines. This is a glimpse into the toxic heart of our global financial/political system. Thank Bella for continuing to highlight these issues. It is essentially the same people and incentives that are behind decisions to manufactur arms and destroy the social and cultural fabric of Iraq and Afghanistan etc, and now Venezuela. Until we deal with The City of London and Wall Street we’re not going to make any meaningful progress on social justice and environmental issues or anything meaningful. Fantastic analysis, Ian. Persuading you in a Leicester Square cafe to join the Sunday Herald’s launch staff was plainly a shrewd move! Your indefatigable digging into not just this gross scandal but the state/financial nexus that lies (in both senses of that word) beneath it is performing a real public service. thanks Rob. Think I owe you one. This is truly shocking and evil behaviour by bank and government, if the APA’s malign role is proven. Thank you for highlighting this story. I hope to see it on our national TV news. The bank grows enormously by greed and negligence, fails and is bailed out by taxpayers. It then pursues more taxpayers (it’s own customers) to strip their assets, aided & abetted by the state. The state has now impoverished and destroyed the lives of it’s own citizens, in order to mitigate the gambling losses incurred by a private business? Never mind “malfeasance”, is that not treason? On top of that, ill-deserved bonuses are paid to bank directors, but now from the public purse. It doesn’t stop there; compensation due to customers who were mis-sold PPI, is then paid for by the public, because of illegal mis-selling by the bank, which was, at the time, ripping off it’s own customers (those self same tax payers)! How many times, and in how many ways, have the general public paid for RBS’s rapacious greed? This bank grew to be the biggest bank in the world. Valued at $64bn in 2006, growing to $3,807bn in 2008, just 24 months later. How is that possible?